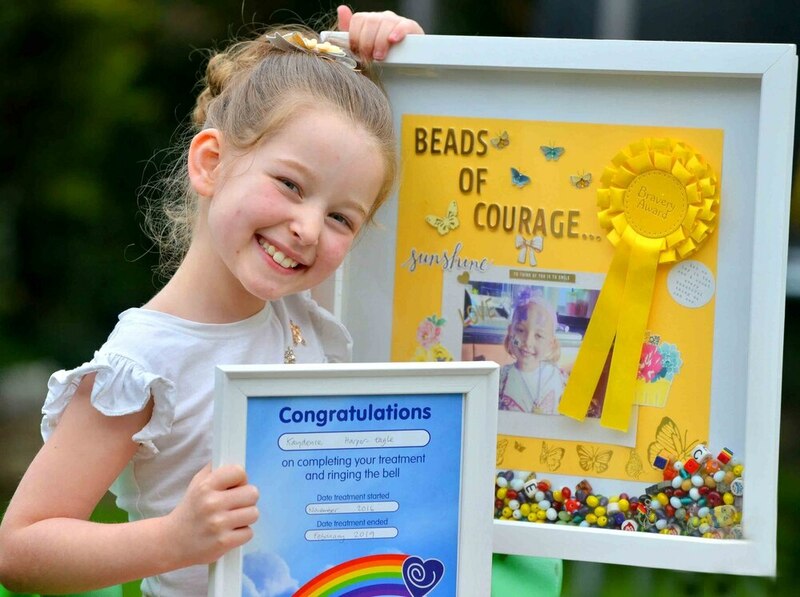 Little Kaydee Harper-Eagle has good reason to look so happy – the seven-year-old has gone into remission after living with acute lymphoblastic leukaemia for the last two years. 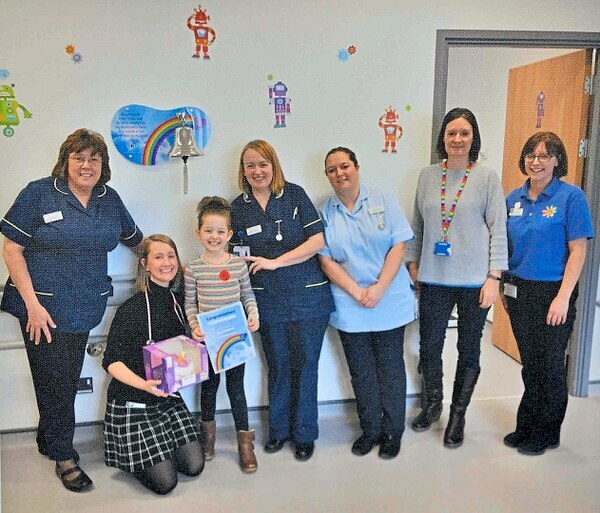 Kaydee rang the end-of-treatment bell at Princess Royal Hospital on March 5 after enduring years of difficult and intensive treatment. 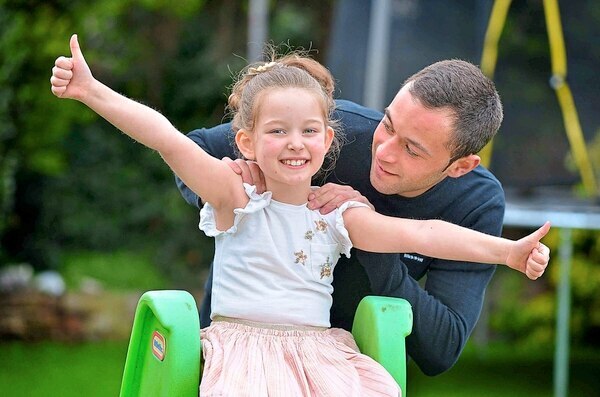 She was diagnosed in March 2016, two months before her fifth birthday, and mother Tara Harper said her daughter is now looking forward to continuing life as a normal little girl. “It is amazing how everybody pulls together in hard times and rallies around,” Tara said. “We had so many supportive messages and donations, businesses in Newport heard the news and donated money and food. The Newport community rallied together in support of Kaydee and her family. More than £3,000 was raised in her name, including £2,200 through a crowdfunding website. Supporters set up the JustGiving appeal and ran it for months to collect the money. But the family, of Brookside Avenue, Newport, received help from beyond the town as well. 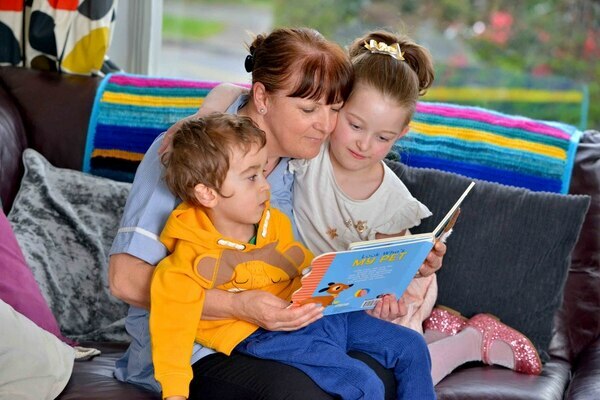 Tara said: “The staff at the children’s oncology and haematology ward at the Princess Royal Hospital became like a second family to us – they should all be proud of the amazing work they do. While Kaydee was going through her treatment, her brother Finley was diagnosed with cerebral palsy. The added challenge meant the family was relying on others to help care for the youngster. “Whilst we were in the first few months of Kaydee’s treatment, we discovered our little boy has cerebral palsy,” Tara said. “My parents, David and Angela Harper, took on all the care for him while we split our time between Birmingham and Telford hospital. Understandably, we couldn’t have done it without them. The people of Newport held a big birthday party for Kaydee in early 2017. She was given about 100 presents on Christmas Day, and to say thanks they were opened up on her fifth birthday party. The party was held at Newport Cricket Club and there was food and a bar as a way of saying thank you to everybody that had helped. At the time, Kaydee’s father Gareth said it had been an overwhelming show of support. “When she made it back and we saw her smile – the people who donated so much to us weren’t there to see it but it was very touching,” he said.